In today’s world I often write about the scourge of CITES and about how the whole world is now hell-bent-for-leather in its desire to utterly destroy every vestige of the ivory trade. These endeavours are all “doctrinaire” in character – which means those who seek the destruction of the ivory trade (AND of the rhino horn trade with it) impose their inflexible demands without regard to the science of wildlife management; the impact that such an outcome will have on the poor rural people of Africa; nor any of the practical implications associated thereto. Today the main thrust comes from the animal rights NGOs in the First World who have no experience with the management of elephants or rhinos in Africa, and no accountability for the disastrous consequences their demands will have. Many people will be wondering just where the animal rightists got their passion for this endeavour. Where did this idea all come from? I have written about this many times but a recent letter from my good friend, Dr Andre DeGeorges in America, has goaded me into repeating what happened and how this idea originated. I am in a bit of a quandary in this respect because it all began with the American administration getting involved with that first ivory bonfire in Kenya in 1989 – in fact that bonfire was their idea – and because I am currently establishing a very good rapport with the Trump administration at this time, I don’t want to jeopardise that desirable and growing relationship. So let me absolve Mr Trump’s administration from any complicity in this affair from the outset. Indeed, I know that he is fighting this kind of corruption as hard as we are in the TGA. Donald Trump, therefore, is ‘one of us’. But the TGA prides itself in telling the truth. So, the truth ‘will out’. It all started when, prior to the 1989 CITES convention in Lausanne, Switzerland, the animal rightists began a massive propaganda campaign which called for the elephant to be declared an endangered species; and for a total ivory trade ban to be proclaimed. Even when I read between the lines now – twenty-nine years later – I cannot put my finger on HOW all this really started. There are only two options: Either the American administration climbed on the animal rightists’ bandwagon; or the original idea came from the American administration. Certainly, long before the CITES convention of that year, the American administration was working hand-in-glove with the American animal rightists to bring about their demands. How avid was this American administration support? Certainly greatly so – because it was the Americans who approached Richard Leaky, then the Director of the Kenyan Wildlife Service , and persuaded him to burn Kenya’s ivory stock-pile. They wanted, they told Leaky, to create a “massive spectacle” that would focus world attention on the seriousness of the poaching of elephants in Africa (at least that was the reason they gave Leaky). And they wanted to do this just before the convention – because they knew what the animal rightists were going to propose – and because they wanted the architect of the bonfire to be an African personage. And they paid for the burnt ivory. That Kenya couldn’t care a fig about what was happening to the elephants in their country is manifest by the fact that for the 20 years leading up to the CITES convention of 1989, it was the Kenyan ‘Royal Family’ – the Kenyatta family – that had decimated that country’s elephant and black rhino herds. Between 1970 and 1989 Kenya’s elephants were said to have been reduced from 270 000 to 20 000; and 10 000 black rhinos were butchered. And one of those implicated in the great slaughter was Daniel arap Moi – the new president of Kenya who hypocritically set the ivory bonfire alight. And to what extent was the American administration (of that time) involved in all this? One hundred percent! “In July 1989 (several months before the CITES convention took place) 17 African countries met in Gaberone, Botswana, to come up with a unified stance on elephants for CITES. 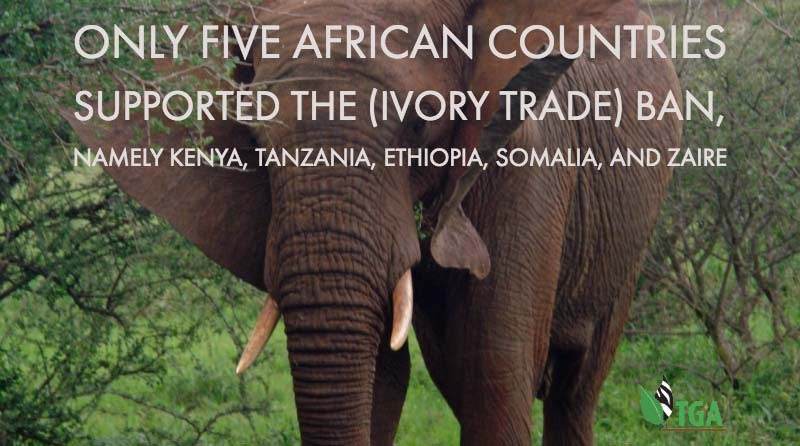 Only five African countries supported the (ivory trade) ban, namely Kenya, Tanzania, Ethiopia, Somalia, and Zaire (and the political elites of two of those countries – Kenya and Tanzania – were, at that very same time, engaged in poaching their own elephant herds). The meeting was dominated by U.S. and European protectionist groups. The U.S. Government subtly threatened both Zimbabwe and Botswana with foreign aid withdrawals if they did not support the ivory ban. They initially refused to accept the Tanzanian/Kenya proposals (Bonner 1993). Thomson (2003), who attended the 1989 CITES conference, claims that the U.S. delegation threatened all African countries who would vote against placing elephants on (the) CITES I (Appendix I), with foreign aid cuts. Conclusion: Africa cannot afford to let these First World vampires succeed in their endeavours. Whoever was responsible for the current catastrophe which began way back in the late 1980s – whether it be the American Administration of that time, or the animal rights brigade of that time – Africa cannot afford to allow them to close down either the ivory trade, or the trade in rhino horn. 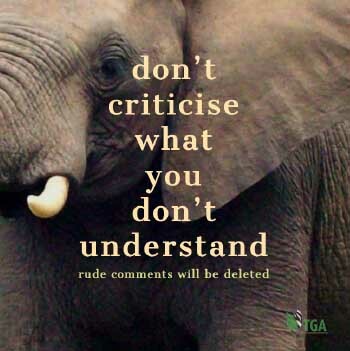 The Elephants and rhinos of Africa belong to the people of Africa, not to the international animal rights NGOs, or to Western governments, and if we have to fight our own government because of its lack of support for our legitimate ideals, so be it. To preserve Africa’s wildlife heritage we should be prepared to fight anybody.